GOLF: Adam Scott says world No.1 Dustin Johnson was in 'Tiger Woods-like' form before pulling out of last month's US Masters after injuring his back in a fall down stairs. 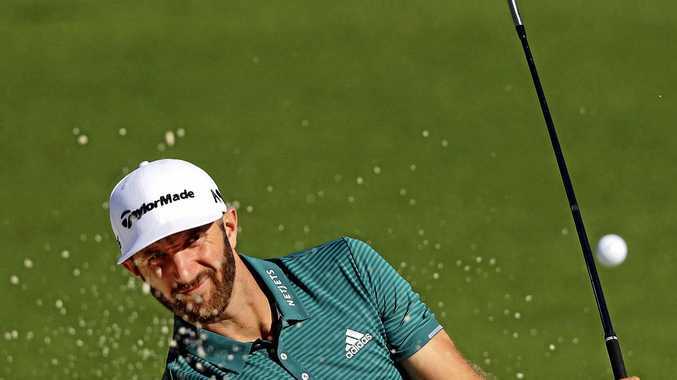 Before the injury Johnson had won three victories from as many starts on the US PGA Tour as he replaced Jason Day at the top of the world golf rankings. Scott said that winning streak was similar to Woods' run in the early to late 2000s and said this week's Wells Fargo Championship would be the ultimate litmus test to see if he can reel in the American before he achieves similar dominance. "(Dustin's) run is more like what we saw from Tiger, where he just continued to perform at a high level every time he pegged it up, for so many years," the Australian world No. 11 said. "If (Dustin) keeps that going, he's on track to being one of the greatest golfers that's ever played because he's got all the weapons." The US PGA Tour event in Wilmington, North Carolina will be the first hit-out since the Masters for both Scott and 32-year-old Johnson. Joining Scott are fellow Australians Stuart Appleby, Cameron Percy, Matt Jones, Geoff Ogilvy, Steven Bowditch, Greg Chalmers, Brett Drewitt and Curtis Luck.